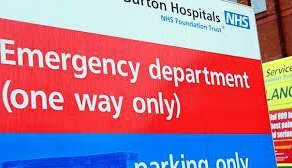 The biggest health trust in England - the PFI-indebted Barts - has been put into 'special measures' after inspectors found it was running dangerously short-staffed and overcrowded hospitals. What does this mean for the future of East London's hopsitals? The Private Finance Initiative is a big part of the privatisation that's killing England's NHS, so why aren’t any of the main parties opposed to it? The Private Finance Initiative is an unfair, unaccountable rip-off, destroying our NHS.  A conference this Saturday (1 November) aims to show campaigners how to fight back. 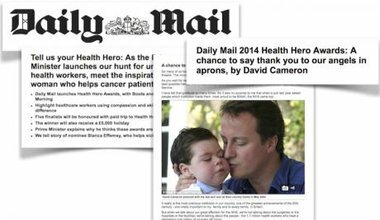 In a Daily Mail campaign the Prime Minister deploys his personal tragedy and patronises health care workers as 'angels in aprons'. 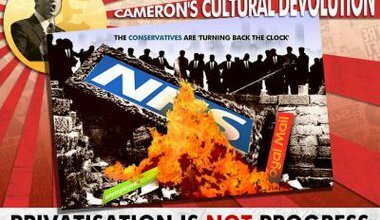 Misleading rhetoric provides cover for Cameron's legislative demolition of the NHS. 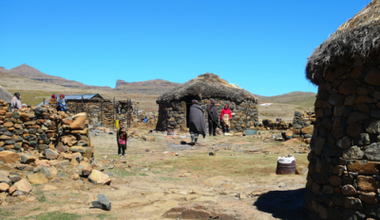 The World Bank promised Lesotho that its PFI-style hospital - the first in any low-income country - would cost the same as its old public hospital. Instead it is eating up half the entire nation's health budget, while paying 25% returns to the private partner. 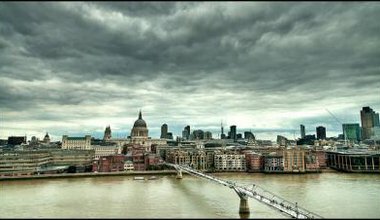 The prosperous South East can no longer afford to subsidise the rest of the United Kingdom. Or so runs the conventional wisdom. The facts, on the other hand, are rushing headlong in the opposite direction. Shout from the rooftops, Labour, save England's NHS! Labour has a chance to show it’s serious about saving the NHS from death by a thousand privatisations. Hunt has to decide by tomorrow whether to appeal his defeat over the Lewisham Hospital closure - but if he succeeds in overturning it no hospital will be safe. Any extra A&E cash is welcome - but Cameron is still putting private providers and investors before patients. 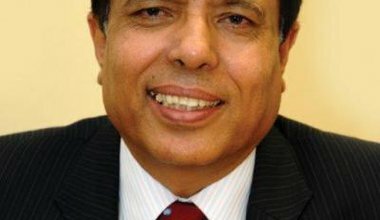 What is G4S doing in England's NHS? 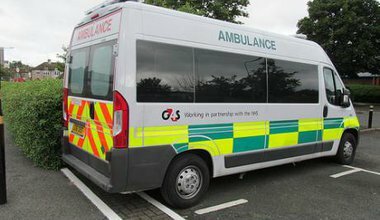 As G4S is exposed for overcharging on government contracts, we ask - just what is G4S doing in the NHS? 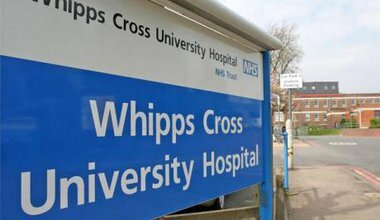 In advance of this week’s high court battle between Lewisham Hospital campaigners and Jeremy Hunt, a People’s Commission on Saturday heard damning evidence from clinicians and patients. 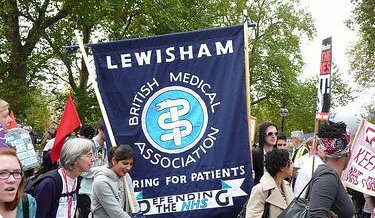 In Lewisham, the government is sacrificing a thriving local hospital in order to protect the interests of bankers, shareholders, and corporate stakeholders. 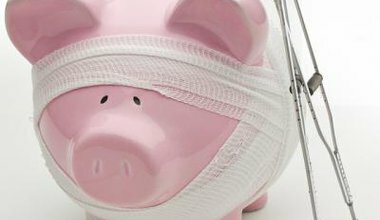 Healthcare systems across the world are facing a 'man-made disaster' - the imposition of market-style 'reforms' that are neither appropriate nor effective. Journalist John Lister introduces his new book 'Health Policy Reform: Global Health versus Private Profit' that unpicks the facts behind the flimsy ideology. 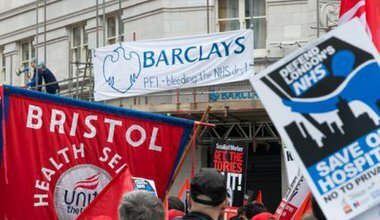 The PFI scheme puts money from the British taxpayer into the pockets of private companies. Parliament has found it to be expensive and unsound. So why are British people still paying hundreds of billions of pounds to continue the scheme?